Traders are increasing bullish positions on the bank index and stock futures and options contracts — mainly Axis BankNSE 2.24 % and ICICI BankNSE 0.70 % — on expectations that these stocks will benefit the most in the wake of renewed foreign portfolio inflows. Financial services have the highest weight of 37.18 per cent on the Nifty. So, when overseas exchange traded funds pump money into a basket of Nifty index stocks, banks benefit the most. “However, this decline should be utilized to buy the banking index once again,” said ICICIdirect. 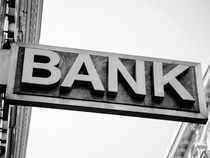 Most analysts recommend buying corporate banks such as Axis Bank and ICICI Bank, and are bullish on State Bank of IndiaNSE 0.18 % among the public sector banks.